If you have questions and comments about our products, please do not hesitate to send us an e-mail. You can expect to receive a response within 24÷48 hours. Your requests are very important to us and will give us with valuable information required to provide support for your particular need in a timely manner. A sequential list of the most popular Q & A's for any Lidor Systems product, pricing and licensing. 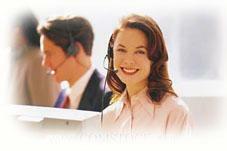 You can find detailed information about our customer service here: Customer Service.